The time of the sunrise and sunset move here, too. At the height of summer, which is of course still during Daylight Saving Time, it's still light when it's my kids' bedtime, which makes it harder to put them to bed. That's a little inconvenient. ThingerDudes wrote: The only reasonable amount of Nutella is infinity. Everything else is too little. I hated going to bed at 9pm as a young kid when it was still light out and I could hear older kids still playing outside. At the longest here in Oslo the sun rises at 03:53 and sets at 22:43, but you don't have to go much further north before it doesn't rise or set at all. Like in Northern Norway where we usually spend a week or two each summer. It's really confusing. atomtengeralattjaro wrote: The Forums of ASDF turn, and Pages come and pass, leaving memories that become legend. Legend fades to myth, and even myth is long forgotten when the Page that gave it birth comes again. On one Page, called the Six Hundred and Ninety Fifth Page by some, a Page yet to come, a Page long past, a post was made by atomtengeralattjaro. The post was not the beginning. 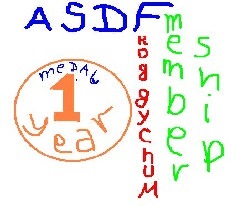 There are neither beginnings nor endings to the turning of the Forums of ASDF. But it was a beginning. I really enjoy the sunny weather, when the sun is shining brightly. It's starting to get a bit warmer here. It might be about time to start riding my bike again. It's been over 0 a couple of days now which is nice. It's going to get colder again though. This has been one the longest winters I've ever experienced. appreciate the intl. women's day acknowledgement, boys what a year it has been already - this not-so-proud american is studying in europe! i've missed you guys, but actually got in touch with keja again by chance - he is doing quite well. i'm seeing many familiar faces, it's amazing some of you have stuck around for about ten years or more. it's true you never really leave. cyan is dead. ALL HAIL THE KUMQUAT! atomtengeralattjaro wrote: How cool would it be if we could all agree to stop this clock adjusting nonsense. keja wrote: It seems pretty unnecessary but it doesn't really bother me in any way. Small talk about it gets on my nerves though, the same as with the weather. Hi keja! So how about all this weather we are having? Today was my grandfathers funeral. Shai'tan wrote: Today was my grandfathers funeral. Sorry for your loss. So many old people are dying. It’s a shame.